Human, are you concerned because your kitty’s hair falls out in autumn? Not to worry. That’s completely natural, since your cat is simply shedding its coat as the season changes. This shedding usually takes place twice a year, with the change from autumn to winter and from winter to springtime. Even though we usually shed much more hair when good weather arrives, we can also lose a considerable amount of hair in autumn. Don’t try forcing us to shed. It’s impossible to avoid at the times of years I just mentioned to you, but if you notice us shedding at other times of the year and we start showing some bald spots, please take us to see the veterinarian right away so that the vet can tell you exactly what’s wrong with us. That’s usually because we have some allergy, a bacterial infection, stress, fleas, ticks, a hormone imbalance or an unhealthy diet. In these cases, heed your veterinarian’s advice and do as told to get us back to being completely healthy and our coat scandalously gorgeous. However, when our hair loss is completely normal and due to shedding, you’ll find your house, furniture, personal items and everything you can imagine covered with our little hairs if you don’t take care of us exactly the way you should. Get us used to your brushing sessions from the time we’re little, so that when the shedding season rolls around, we’ll appreciate being pampered by you and won’t be fussy about being brushed. 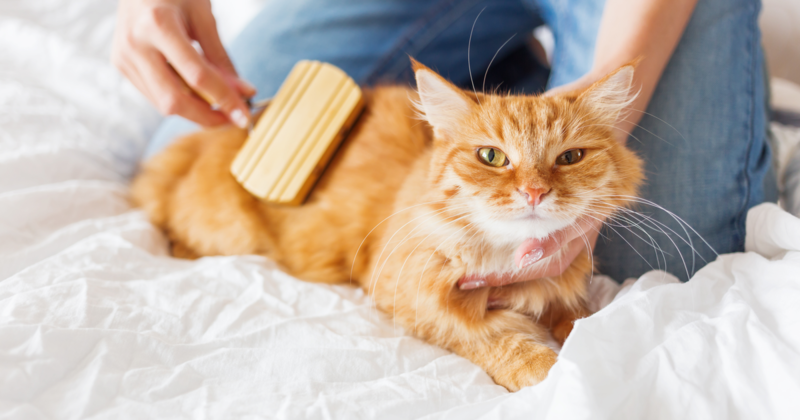 If you have a long-haired cat, these brushing sessions will enable you to keep its fur from getting tangled into those painful knots. Besides, helping us to get rid of dead hair will prevent us from choking on our own hairballs. Just like you, swallowing one hairball after another makes our stomach feel awful. Try to keep us from doing so by way of those brushing sessions. 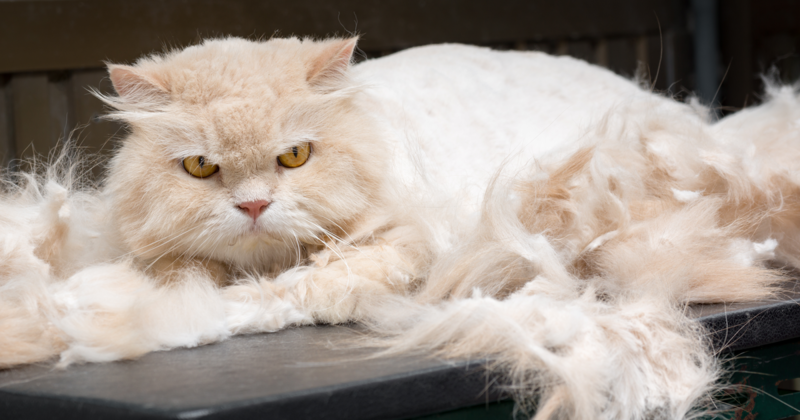 You can also make the shedding process much easier on your cat if you feed your cat right. There are different types of dry cat food to get us through the shedding season as fast as possible with much fewer problems.